I've been eagerly awaiting this book for a long while I am a pleased to say it was an awesome read. I loved the character of Wing. She is dealing with a whole host of rubbish things that have been thrown her way and trying to become her own person whilst doing that. I loved the sporting element to this book especially seeing the impact it had on Wing as a character and how it helped her grow into the person she wanted to be rather than the one she was before. I love that she did that for herself rather than relying on others. 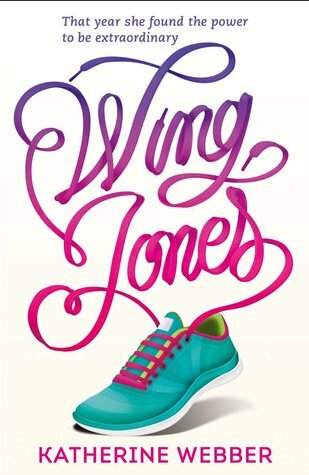 I enjoyed how diverse this book was and seeing how Wing balances the clash of culture she lives with dealing with expectations of Chinese and African heritage and growing up in America and how often that leaves her feeling like she doesn't quite fit in anywhere.. I also loved that she represents a normal working class family and you can clearly see the impact financial struggles have on the family. All so often YA protagonists seem to live in a dream world where money is no object and it means they can do anything which just isn't realistic for most families. A fantastic debut from an author I can't wait to read more from.